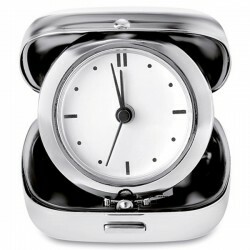 Metal travel alarm clock with carrying case, 1 cell battery included. 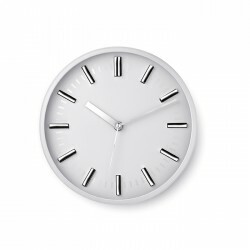 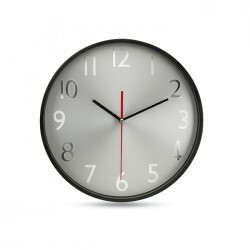 Analogue wall clock in aluminium casing. 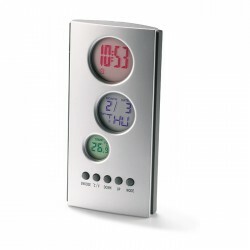 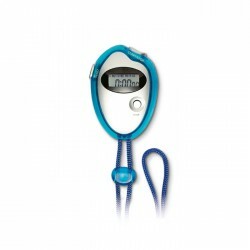 Includes a digital thermometer and a hygrometer, 3 AA not included. 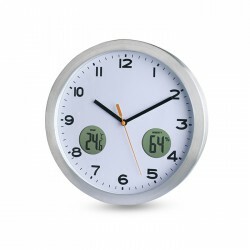 Wall clock with tic-toc system, 1 AA battery not included. 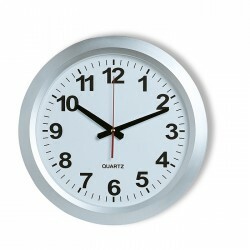 Railway station style wall clock, 1 AA battery not included. 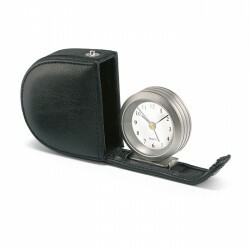 Alarm clock in leather pouch, 1 cell battery included. 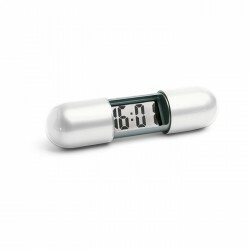 Travel alarm clock with date function, 2 cell batteries included. 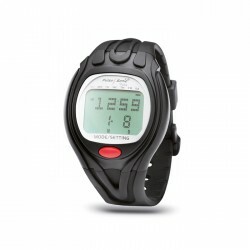 Heart rate monitor watch in ABS with wireless transmitter belt including average and maximum heart rate, stopwatch, target zone setting with alarm and data summary. 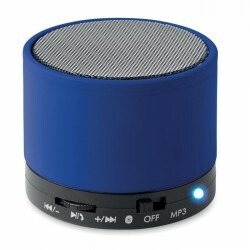 2 cell batteries included. 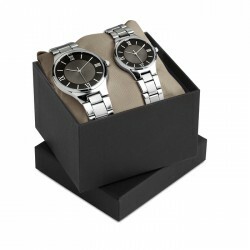 Gents and ladies watch set in metal casing and stainless steel wrist band. 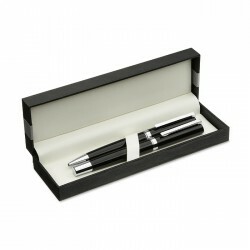 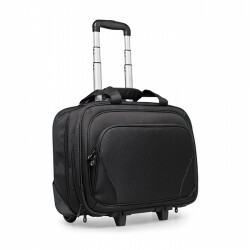 Delivered in a black carton gift box with polyester cushion. 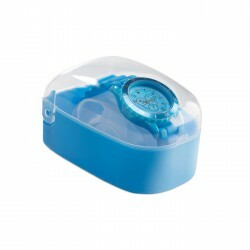 1 cell battery included in each watch. 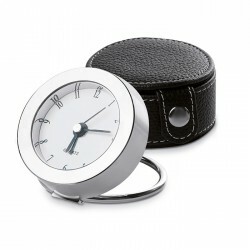 Gents and ladies watch set in metal casing and imitation leather wrist band. 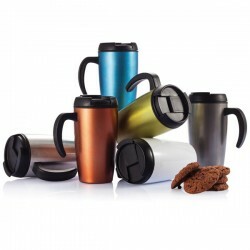 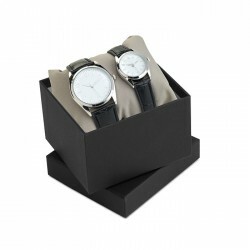 Delivered in a black carton gift box with polyester cushion. 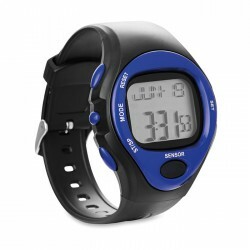 1 cell battery included in each watch.